The School has a well-equipped science lab located at the Archimedes Campus. 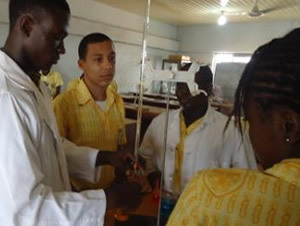 It is a general science lab where students receive practical lessons in Biology, Physics and Chemistry. It gives students an opportunity to apply and carry out practical experiments on what they have been taught in class, thereby enriching their understanding of the various subjects.